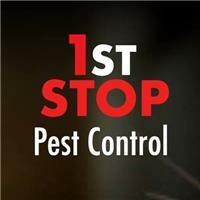 1st Stop Pest Control - Pest/Vermin Control based in Chatham, Kent. We offer free site surveys or samples can be submitted for initial identification. Our technicians are scrupulous in all aspects of pest control. Each of them is professionally licensed and experienced. During the site survey we compose a bespoke eradication solution and advice on continued preventative measures which can be done by yourself or managed by our team longer term. Our services are discreet, using unmarked vehicles. We can provide on off eradication and year-round cover for your business. Some worksites require contracts to keep the authorities happy, such as food manufacturers and food packaging. We specialise in companies that require pest control services to meet BRC standards. We also provide a service where we can have a Field Biologist to inspect and report. We also partner with local beekeepers in many areas so that we can work together in saving bees that have made their home in public areas. - No matter how bad the problem we can clean it. We operate using rubbish trucks - no unsightly skips; waste is taken straight from site to refuse depots.